Abhinav Parakh is an alumnus of the batch of 2017, Department of Chemical Engineering. In an interview with Chennai36, he talks about his grad experience as a PhD scholar at Stanford University in Material Science and Engineering. Read on to know about the application procedure, his thought process while applying and for some exclusive insights into the life of a scholar at Stanford. Could you tell something about yourself, the university you are studying in, and the research piece you are working on? What is the scope it has to offer after PhD? I am Abhinav Parakh. 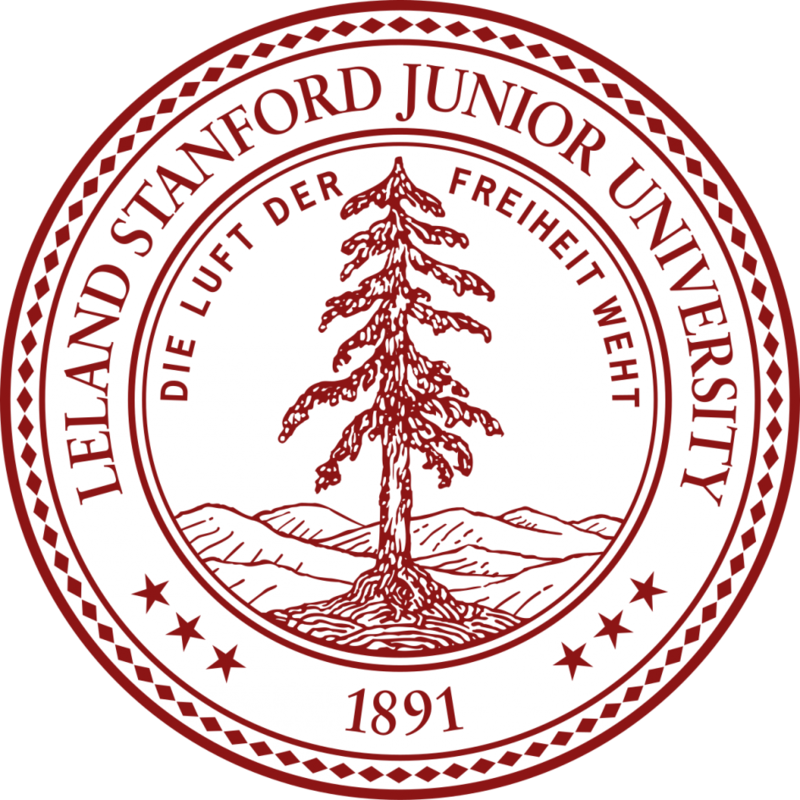 I will be going to Stanford University for my PhD in Material Science and Engineering. I would be working on new materials to design for energy-related devices like solid cells or fuel cells. I haven’t yet fixed up the exact research project yet, but that would be the field I would be widely working on. After post-graduation, there are many fields you could choose. One of the renowned fields is academics, many people do PhD just to get a job as a professor, and continue doing research. Or else, you can pursue research in industry as well. Most of the research positions are given to PhD students as they have an added advantage because they are one step ahead of an MTech student. What work do you plan to do after you finish your post-graduation? Where do you see yourself after 5-10 years? There are many fields that I could potentially go into right now. Mostly my focus after going to Stanford would be looking for ideas to build up a start-up. That’s a pretty widely followed field in Stanford. Well, there are many graduate students who have pursued start-ups successfully from my department itself( Material Science and Engineering). And, there are several companies that have opened up start-ups in the field of solar as well as battery technology and these being one of the most lucrative ones. Or else, I’ll look for jobs in the industry. When did you decide to apply for further studies? When is usually the ideal time to start thinking and preparing for it? I began pretty early. In the summer of my second year, I did a research intern at the University of Nebraska at Omaha. That was my first exposure to research. And I really liked the experience, that you could potentially look out for problems and figure out a solution by yourself. Later, I continued several research projects at IIT Madras. In my third year, I again went for another research exposure outside which helped in figuring out that PhD would be the option the best for me. I would say starting as early as possible is best. The Second year would be ideal to start because until the second year you can get your hands into a lot of stuff, for instance, you can pursue something in CFI or do some projects with professors or join Finance Club. Two years is quite enough to actually see what you personally like. And then, you could pursue it in the second-year summer. What are the necessary skills, according to you, that a person should develop, in order to make himself cut out for research? And not just getting a good grad schooling? Personally, for research in my field, you have to read a lot! Most of the students take up projects with professors, and then within the initial few weeks, they lose track of it, because they have to study a lot before getting started up and running experiments. Hence, the initial phase of finding the right way to get to know the field is quite important. Reading up on raw-material which is relevant to the field you want to pursue would be the best way to start off. And, this is how it continues during the PhD as well. How did you make the choice between placements and applying? Well, I didn’t make a choice. I did not have any time for placements. I gave my GRE quite late, around November first week. Till then, I was stuck with the apping. I didn’t sit for placements at all. Placements were never a fall-back option, I was kind of ready to join any university. So, being a chemical engineer, how did you develop the interest in Material Science and Engineering? That’s a long story. I mentioned earlier that I went for a research intern and that was in the Computer Science Department. And, I chose Computer Science department because, in the past 2 years( my first and second year), I did a lot of projects which involved coding and I was also part of the Institute WebOps team. During that intern, I met a professor at the University of Chicago. His team was working on a project on nanotechnology. I spent a day with them, and it was quite amazing! How they worked and how it impacts society and it caught my interest. So, when I came back, I took up a minor in Nanoscience and Nanotechnology. And that was the way to go forward. Is high CGPA required for applying? I mean, is it all lost for people below the astronomical 9-point- something CGPA?So, can they make up for not crossing that barrier? If yes, how? It is important if you want to go into good grad schools.They will not take you unless you have done quite astoundingly well in your field. And, if you have done quite well in your field, then I would say that you would be covering your CGPA as well. It won’t be that low if you are good at your field. If you are not that good at your field, then there are still several other schools that you could look up but not the best ones, though. One of the most important things would be( if you do not have good CGPA), try to get good publications out. At least a couple of good publications would be awesome. You will be able to get into good grad schools but not assured. How relevant are extra-curricular and PoRs?What position (PoR) did you hold, and how did it help you? Well, I listed them all on my resume. I guess it is important because they wouldn’t want people who are just into academics. They would want someone who is an overall good student. Some people also say that social work is also quite relevant if you are applying abroad. If we can make a story out of it, for example, you can mention that you went for some coding event and that got you interested in computer science or Mathematics as such. I was a coordinator for the Chemclave publicity (Chemical Engineering Department fest). I was a coordinator at the WebOps team as well. I was an active team member in the inter-hostel TechSoc events.In my application, I had to justify why I had gone for a computer science intern. So, I mentioned that I was involved in a lot of coding, and robotics work when I was in my first and second years. And there, I got into contact with professors who told me about nanoscience and nanotechnology. Hence, my previous research experience helped me get a project in nanotechnology. So, that was how I wrote my Application and cleared the test. Can you tell us about the other schools you applied to? Did you have any alternatives? And how were you able to select between them? It is a tough choice if you have applied to quite a number of good schools and you get into them.My selection was based on the ranking; (subject-wise ranking and the whole university’s ranking as well). I followed the QS ranking because it is quite consistent and doesn’t fluctuate much. Whereas the US rankings aren’t that consistent. Other than that, I took the factor of location, whether the university is in a big city or not, because most of the conferences and job opportunities are available in the big cities. After applying, it was a very tough choice to decide on one of them. I got an offer from Princeton University, UC Berkeley, Cornell, Stanford, and some others. Out of these, Stanford stood out, because of the entrepreneurial attitude among its students. I visited the Stanford campus before and it was quite interesting to see how the departments work there and how the projects are done. Generally, PhD is an open degree. You have to work on your own, and then, the professor decides whether it is quite a good amount of work and enough to get it written up as a dissertation. But, at Stanford, it is not like that. They have a compulsory limit that at least 3 publications would be required for a student to graduate. That was one of the most important and interesting factors. I mentioned I was into start-ups right? At Stanford University, we see even professors being involved in start-ups. So, that was a big pointer for me. How did you identify your recommendations? The people who I have worked with a lot, and people who have a good research experience as well. A professor has an H-index which can identify whether the professor is quite prominent in his field or not. So, an H-index of about 20 would mean that the professor is quite known in his field and that he is quite active. So, if you could get a recommendation from such a professor, it would be good. I got my recommendation from Prof. B. S. Murty, Prof. Raghuram Chetty, Prof. Ethayaraja Mani, Prof. Basavaraj Gurappa. And I also got my recommendations from my intern professors. They were also quite good in terms of their H-indices. Does work-experience hold any importance? Is it not advisable to work for a couple of years and then apply to grad schools? People do that. But, I don’t know. I don’t have any contacts who have done that but I have heard of people doing that. I have seen people who have gotten lost because they wanted to do that, but after getting a job, it is quite hard to dedicate time to give GRE, TOEFL, then go back to grad school and study for another 4-5 years. I would say it is not recommended, but some people do that, in order to have a project or a work-experience in the field they want to go into. For example, if you are shifting from chemical engineering to finance, and you work in Goldman Sachs for 2 years, then, of course, that would be an added advantage. What is the relevance of SoPs (Statement of Purpose), and how does one write ‘the perfect SOP’? For taking a PhD student, they make a committee of all professors, maybe 5 or 6 professors, and then they decide on who to take up. SoP is something which all the professors on the committee would read. The general factors that they consider are as follows. First of all, they filter out people based on GRE and TOEFL score. After that, it depends more on how you have written down your resume and how well your story holds up in your SoP. And they also see how motivated you are towards research.I would suggest that, for writing SoPs, read several good SoPs of seniors who have made it to good grad schools, and then learn from them what they have mentioned, how they have portrayed their years in college and then, try to get inspired by that rather than just reinventing the wheel and thinking about it without reading other SoPs. How important are recos, SOPs, CGPA, GRE score, projects/internships, publications etc. in the relative percentage of weightage? You have to get good GRE and TOEFL score or else they will not take a look at the application. They will get filtered out by the computer itself, so you will not even get a chance. So, it is quite important to get a score above 325 in GRE, and for TOEFL, it would be 110 at least, for good grad schools. I would say, the weightage for resume would be highest, maybe about 40%. And then, recommendations about 30%. And for SoP, it would be 30%. A resume would be the place where they will look for your published papers. They will not ask for submitting the individual papers.You will be asked to list them down on your resume itself. You will have a column or section in your resume where you will have to list down all your publications and conferences you have attended. A small piece of advice, each and every school will have something or the other different from other schools in their applications. So, once you look through the application, you will think in the initial stages that, they are all the same (every university requires a SoP, a resume, and a GRE/TOEFL score. )But, it is not the same all the time. So, several schools in my case had that, and I realized it pretty late.They had questions that you have to answer. So, rather than submitting a full essay, they will ask you personal questions. So, you will have to structure your SoP in such a way at the end so that you can take out points for each question out of it.It is advantageous if you know which schools are going to ask you about this beforehand, because otherwise, at the last moment you won’t have much time. And several schools give you an additional question as a ‘personal history statement’. In that, you will have to tell not about the academic work you have done but mention your extra-curricular activities (how your life has been from the initial stages, like your schooling, and what made you pursue science). So, the extra-curricular activities will play a major role. It is a very general procedure and all the universities have similar procedures. They have an application package that you have to fill up. For all the students who are applying, the portal would open in September. You can log into those portals and then fill up basic details, then you will be given access to all the application material that you have to fill in. So, the Stanford portal had a personal history question (with a 250-word limit), a SoP (Statement of Purpose), a resume section, and links for sending recommendations (3 recos). And of course, GRE and TOEFL scores are required, for all the universities. Any final words of advice for anyone considering going on the same path that you have? Give GRE and TOEFL as early as possible. It is possible for you to give it in your second year itself because the syllabus is not relevant to what you will be studying in the next two or three years.Giving GRE and TOEFL earlier is advisable so that your final year is free (you just have to write an essay and fill the application material and send that). You will not be spending the final semester studying for GRE and TOEFL which will give you more time to look for other opportunities like pursuing MBA or a job also. So, give GRE and TOEFL as early as possible. It is not tough, it just requires patience and constant practice.Maybe 2 months is what is required for it but it is not so easy that you can do it in a week, it requires 2 months. Therefore, writing these exams early is beneficial. This article is part of the series – The Grad Guru. To get regular updates on all our articles, follow us on Facebook at /chennai36.